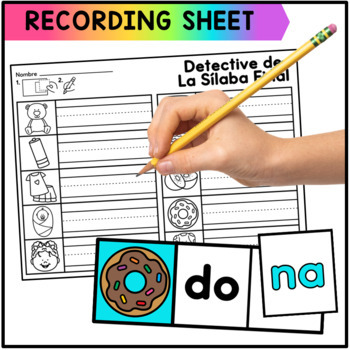 Includes 45 (Two Syllable) Spanish Task Cards. Students pick a card complete the word & place syllable tile needed to complete the word. Includes 3 optional recording sheets for students to record their answers after completing cards, each recording sheet has 15 words. 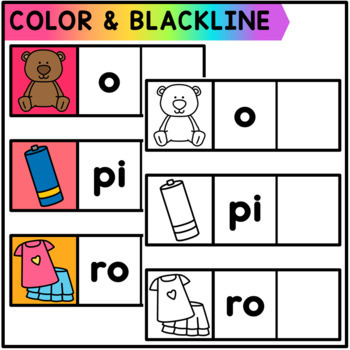 Great for Daily 5, Centers, Literacy Centers, Learning Stations & Dual Language Classrooms!